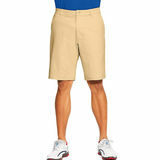 Champion Mens Shorts are light weight,breathable, comfortable fit and feel! 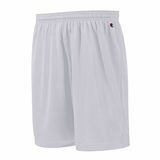 The Champion Shorts for Men is a short with attitude and cool from Champion. 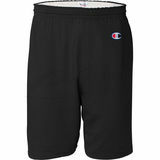 It's a blend of surf and sport with street and urban in a contemporary fashion brand with broad appeal, but particularly for the young at heart.Champion Mens Shorts presents a diverse collection of quality men's shorts. Our range includes styles from chino to casual and to athletic in a variety of finishes. Look to the vibrant colors that makes a statement and the latest cuts to refresh your weekend wardrobe. These shorts are great for lounging around the house, outdoor work and for hot days. Easy to wear and has great quality. 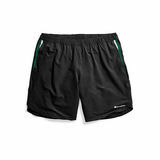 These are very comfortable shorts, it's like you aren't wearing a short, but definitely are.Keeping you cool and dry for sturdy materials. Champion Mens choosed to match elegance with a mix of colors and fabrics that make garments more comfortable and fresh. 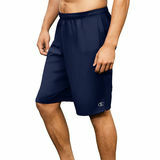 Champion Mens gives out functional and innovative products that adapt to every movement of the body. 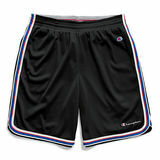 The Champion Mens Shorts are highly recommended!